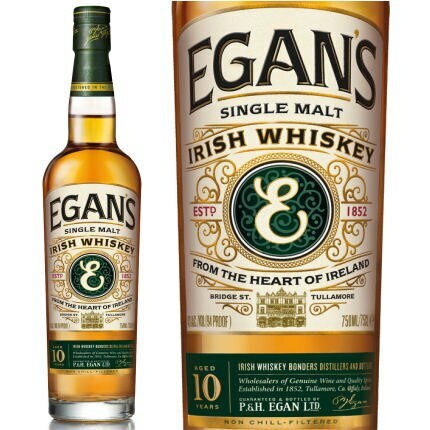 The Egan's Single Malt is bottled non-chill filtered, which leaves it unaltered and in full possession of its character. The whiskey has a fetching golden/amber appearance, a light, silky textured body and a generous fruit and malt bouquet. The longer you allow it to breath and fully oxygenate in the glass, the more of its engaging aromas will come forward. 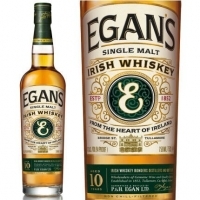 Egan's has a slightly warm entry that quickly expands, filling the mouth with flavors of honey, malt, cranberries, apples and a bevy of baking spices. The long, dry finish reveals the added flavors of caramel and baking spices.